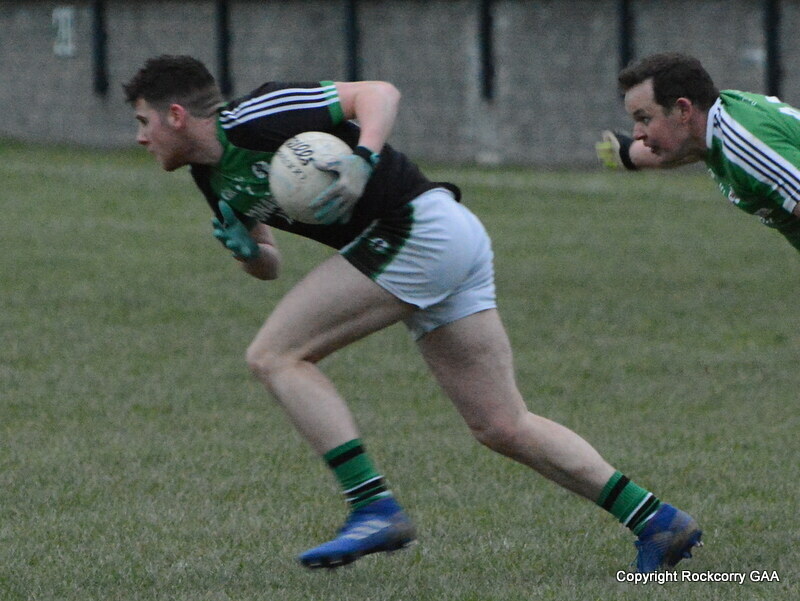 The senior team will commence their Intermediate football league campaign this Sunday 23rd March when they travel to play Cremartin. The game has a throw-in time of 4.00pm and all players are requested to meet at the dressingrooms at 3.00pm sharp. 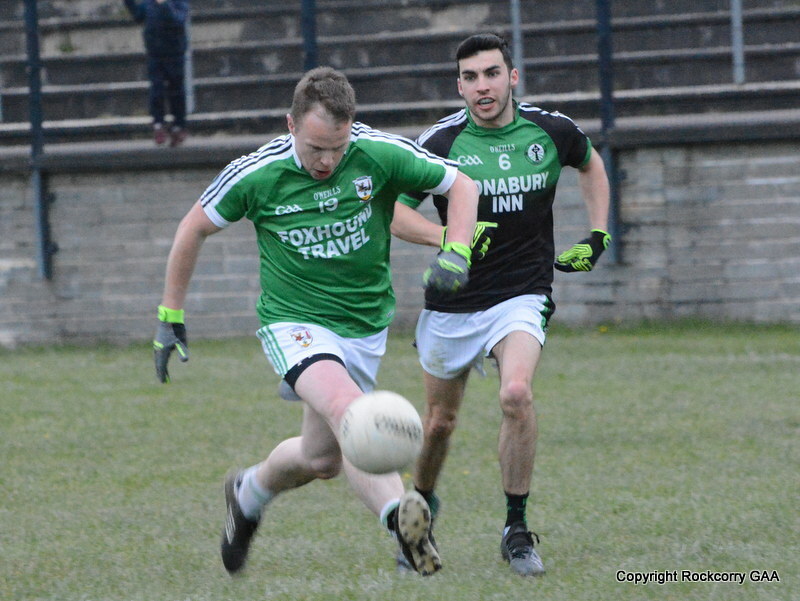 Our reserve team bounced back from their disappointing performance against Eire Og last weekend with a spirited and gutsy performance when they played Corduff in the Platinum Tanks Reserve Football League Division 2, on Sunday 16th March, and the lads showed magnificent character and energy to secure the league spoils on a final score-line Rockcorry 0-14 to Corduff 2-6. This was a rewarding performance for the lads as they all put in tremendous hard-work and their commitment was truly unquestionable and it was needed against a quality Corduff outfit. Moving forward all players are requested to keep up attendance at training on Tuesday and Friday nights and in addition please make use of the new strength and conditioning facilities. 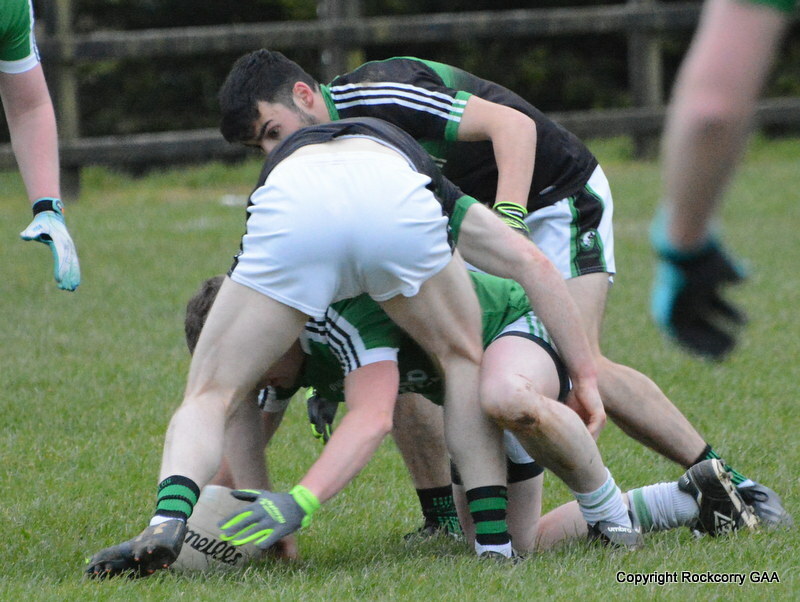 A full match report and a selection of action shots can be viewed on our official website www.rockcorrygaa.ie of visit our Facebook page. Their next outing will be a home game on Sunday 30th March against Carrickmacross and the game has a throw-in time of 12.30pm. Our under 12 players commenced their Gerry’s Prepared Veg Spring League (Zone G) last Saturday 15th March when they travelled to play Killeevan and I imagine the team management will be very pleased to have gotten off the mark with a positive result. We played with a strong wind advantage during the first half and produced a great gutsy display, showing some intelligent style football throughout the period and we went in at the break leading 0-1 to 0-7. The home team started to settle and responded well during the second half and reduced the deficit with some nice scores. 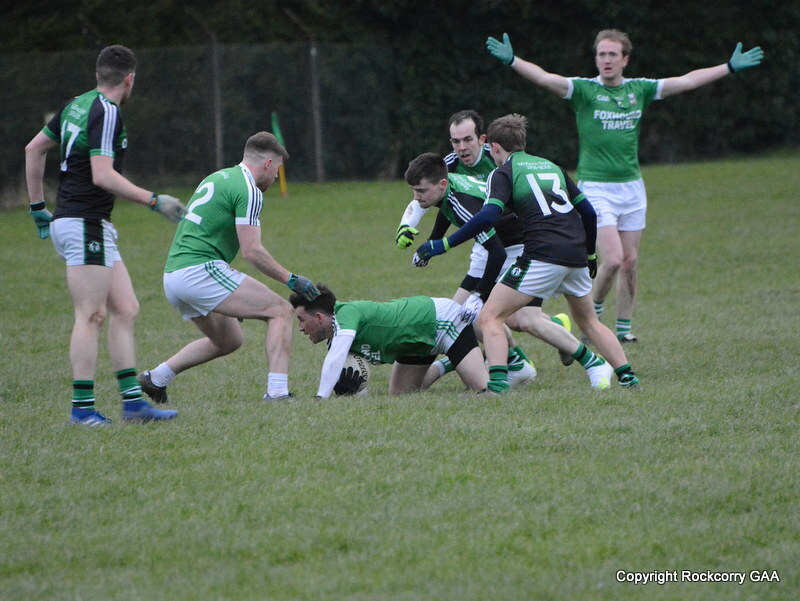 However, our lads gave a good account of themselves in the closing stages and registered some unanswered points to leave the final score Killeevan 0-7 Rockcorry 0-13. The next outing for the under 12 footballers is a home game against Sean McDermott’s on Saturday 29th March at 12 noon. 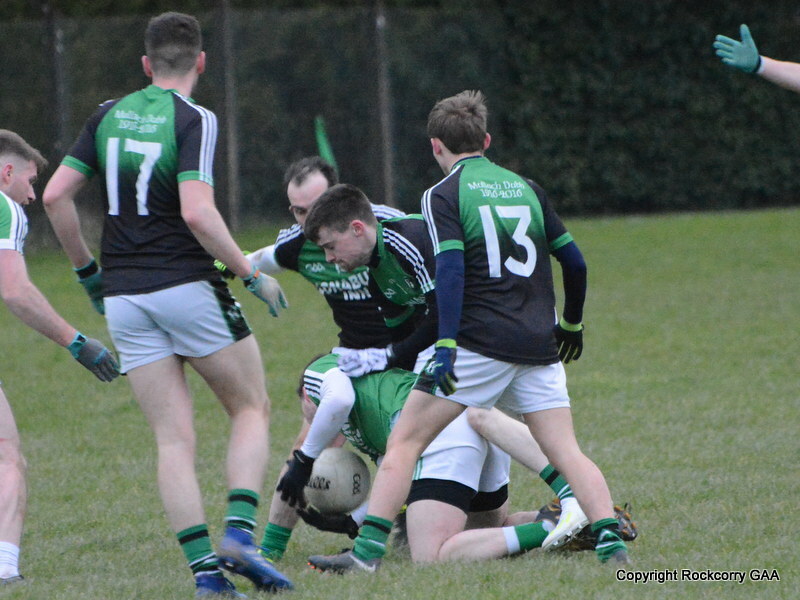 The under 14 footballers will kick-start their league campaign this Saturday 22nd March with a home game against St. Tiarnach Sarsfields and the game has a throw-in time of 12 noon. Any player that is unable to attend training or the game can you please contact the team manger. Our under 14 and 16 footballers will swap their football gear this Saturday 22nd March for waterproof gear as they will be washing cars. Gerry Coyle of Coyle’s Service Station has generously offered his car-washing facilities so please let your family and friends know. Please support this car wash fundraiser and get your car down for a proper wash and make a donation towards the juvenile section of our club. The lads will be cleaning cars from 10am to 6pm and your support of this event will be deeply appreciated. A workshop for the under 10 & 12 coaches was held in Threemilehouse last Thursday 13th March and was attended by Marion Larmer and Paul Mc Cormick .This workshop was run in conjunction with the Monaghan Coaching & Games Development and was delivered by Marty Corey who gave a very instructive and interesting course and our attendees found it very informative. Last Sunday evening, I went to the Parish Variety Concert in St. Mary’s Hall and I cannot put into words how awesome the night was…it was simply AMAZING! It was such a beautiful concert with amazing talent on show it was just joyful and inspiring to watch. To see so many talented and wonderful artists on stage was a delight and thank you for showing us your wonderful gifts of music, dance, storytelling & acting. It was an unforgettable night and perhaps maybe the best concert we have ever seen and has certainly wetted the appetite for more nights like this. It was really an exciting and enjoyable show and well done to all the participants for their wonderful and blistering performances. Many thanks to Sean McCaffrey who was Master of Ceremonies and as always he certainly kept the audience entertained with his witty humour. It would be unfair to name people or single out any individuals so a massive well done to everyone who helped organise the event, sell tickets, do carparking etc. It just goes to prove that when you put your mind to something and get people involved anything is possible. The numbers drawn on Monday 17th March were 10, 13, 18 and 22. There was no jackpot winner of €7,300.00. The following won €15 each :- Sean Greenan, Rockcorry, Patrick Tate, Rockcorry, Bernie & Marie, Rockcorry, Aghabog GFC, Geraldine McCormick, Rockcorry, Martin Carroll, Rockcorry, Helen Fox, Rockcorry, Michael Carroll, Rockcorry. Next week the jackpot will be an amazing €7,400.00 and the draw will take place in Fitzpatrick’s. Please note that all tickets should be handed in no later than 8pm on the night of the draw otherwise they will be included in next week’s draw. Thank you for supporting our Top 4 Lotto draw.